The tried and true FortiFlex's Flat Back Buckets are a favorite among horse owners and horses alike! Made with FORTALLOY rubber-polyethylene blend for exceptional strength and toughness even at low temperatures. The thick wall construction and heavy duty galvanized fittings ensure long lasting durability. Available in Single or Value Pack of 4. 5 Gallon. 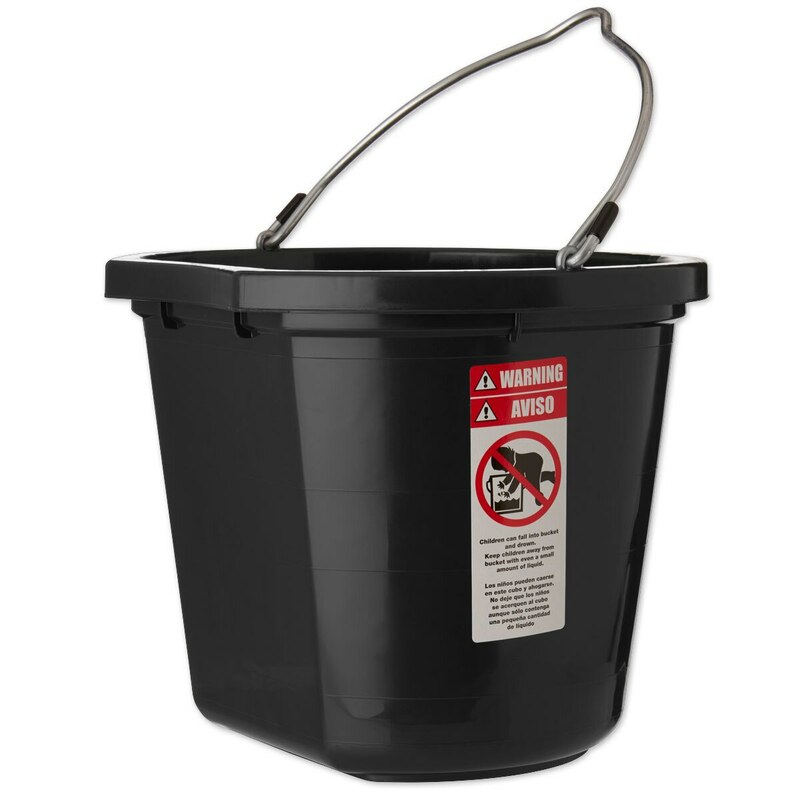 Fortiflex Flatback Bucket - Five Gallon is rated 5.0 out of 5 by 66. Rated 5 out of 5 by Nibbler from Barn Staple Can't go wrong with Fortiflex. 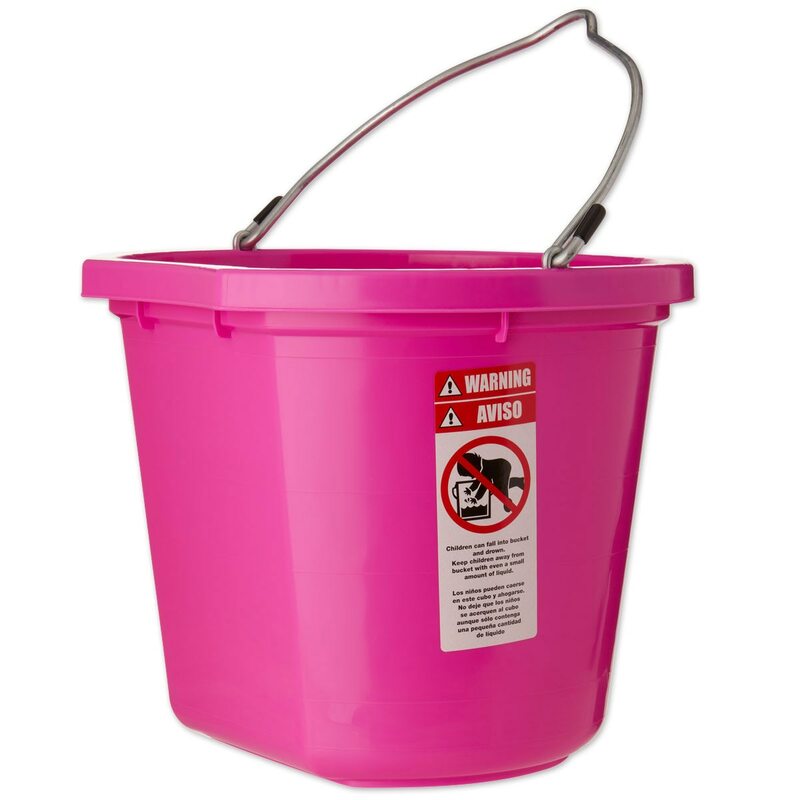 They are durable, colorful and have the bottom ridge which makes it great to toss water. Rated 5 out of 5 by SXPops from Super Durable! I bought these for my horse and when they first came out of the box, I already loved how sturdy they felt. Would definitely recommend these buckets to anyone! 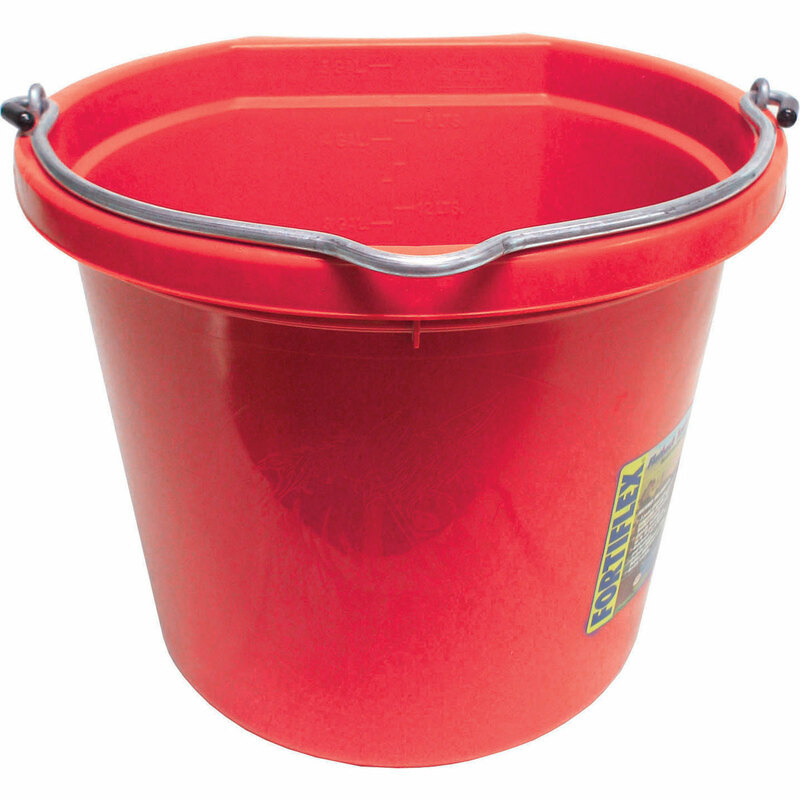 Rated 5 out of 5 by Carrie from Great, classic, sturdy bucket These are my favorite horse buckets. Easily to hold up with one double-ended snap. 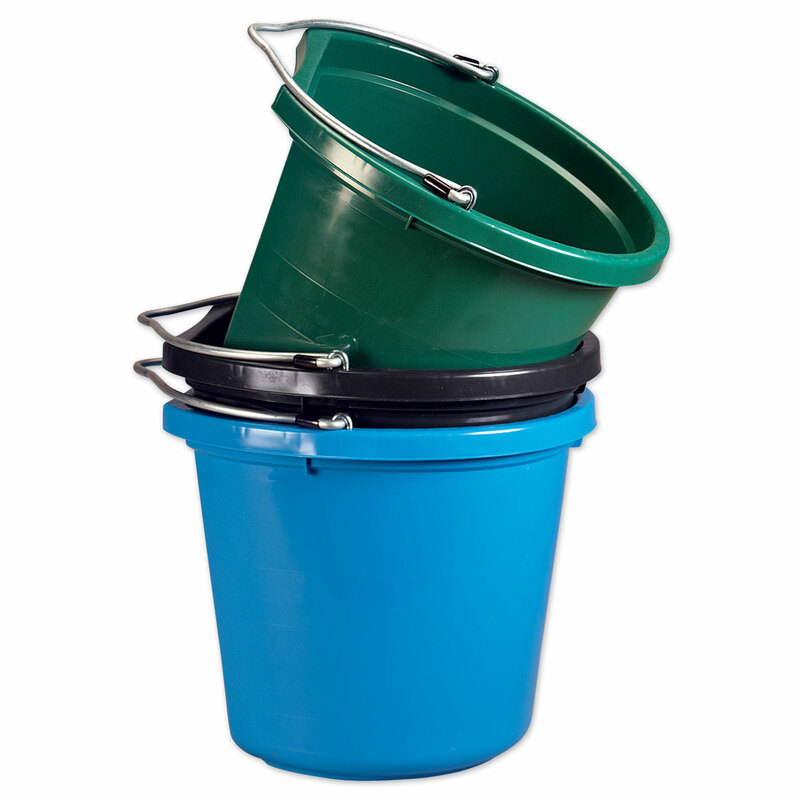 The flat back stabilizes the bucket against the wall, and leaves a little extra leg room when carried. Rated 5 out of 5 by Nilaco from Barn Staple Great multi use bucket. Have used them for decades. Super fast delivery. Rated 5 out of 5 by Jackie from Good value My horse is kinda rough, and he hasn't manage to damage this bucket yet. It holds a good about of water, and is easy to clean. Rated 5 out of 5 by TJ123 from The best and American made! Fortiflex buckets are the best buckets. I still use my first small grooming bucket. It's from 1995 and looks brand new. 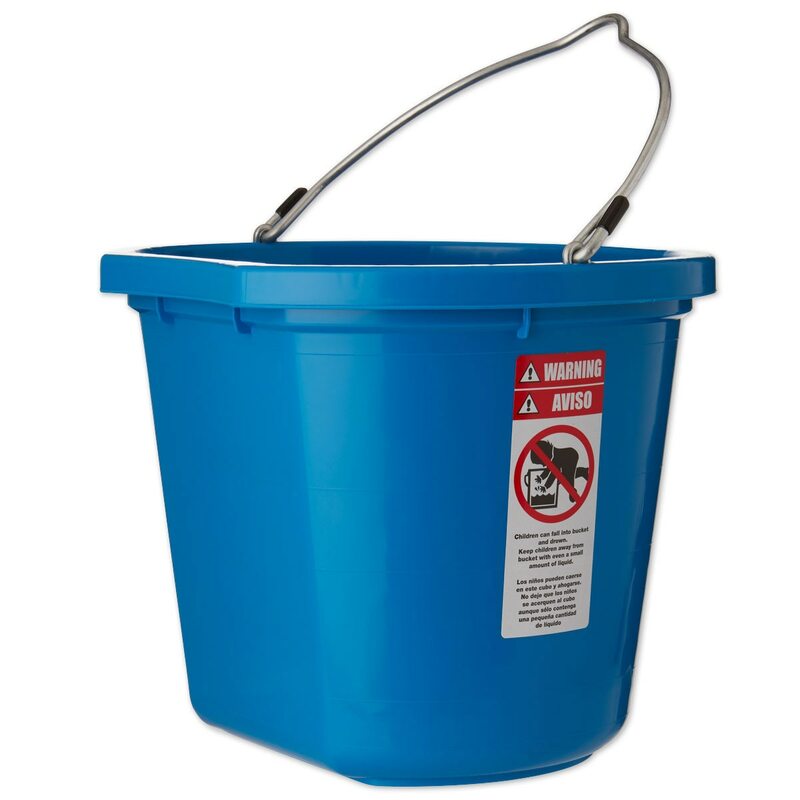 : ) I bought four bright blue buckets for my horses' stalls. They are perfect. I love how Fortiflex includes that they are "proudly made in the USA." Smartpak offered them at a great price, too. Great product and highly recommended.